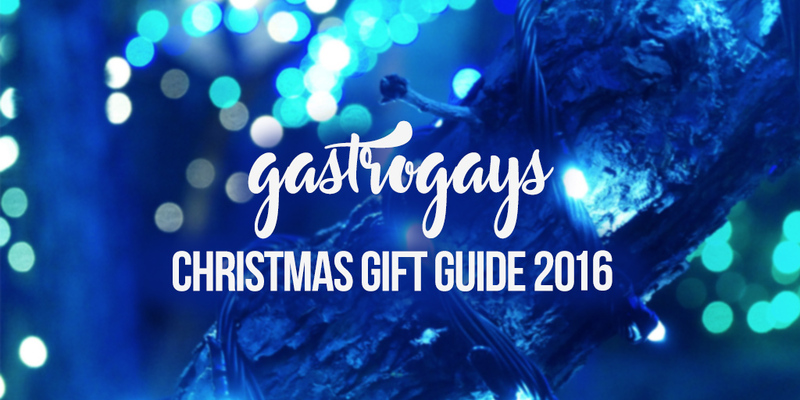 GastroGays' Christmas Gift Guide 2016 – festive foodie finds! You’ve waited all year and now once again it’s time for GastroGays to turn into sassy Santa Clauses! Yes, back by popular demand and annual tradition at this stage, we present our 2016 Christmas Gift Guide. Full of foodie options, exciting experiences, heavenly hampers and the cream of 2016’s cookbooks, now you won’t have to trawl through the high street rails or risk square eyes setting in after endless hours of internet shopping. All of the below are our personal, independent pick of the best food, travel and home gifts we can find this year… and every single one would be a delight to find under the tree! So go on, treat the one you love to something they’ll really cherish and appreciate. 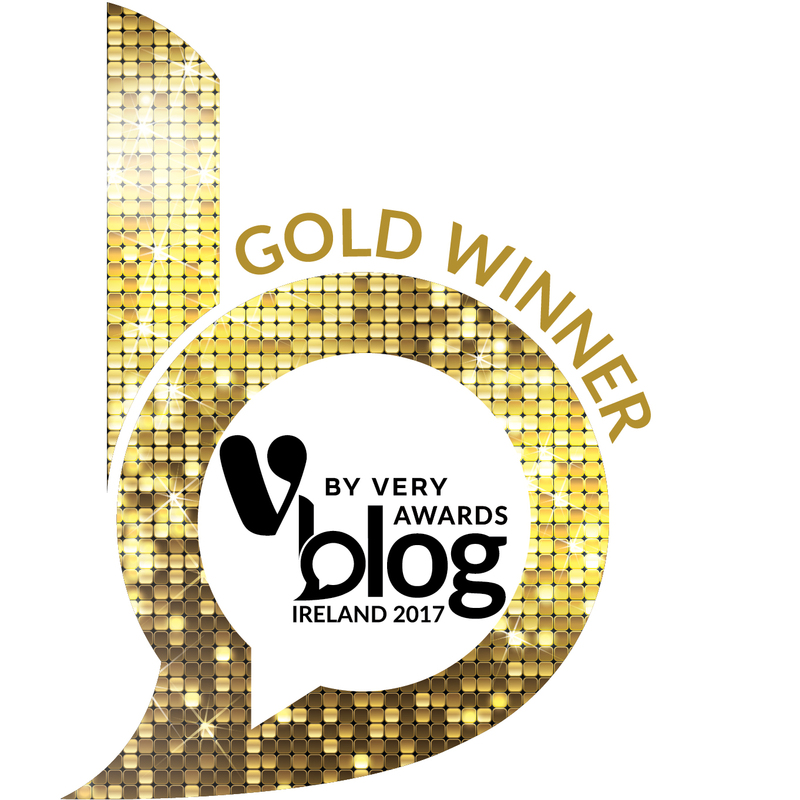 We’ve included all the links, prices and delivery info you need to make even those last-minute decisions a doddle! Like what we’ve picked? Share it on your social media with #GGgiftguide and spread the festive, capitalist cheer! Treat yourself, or surprise your family and friends with this delicious collection of six organic handmade chocolate bars in decadently indulgent flavours from Love Cocoa. Flavours include: honey and honeycomb; 70% Ecuadorian; Earl Grey; and Maldon Sea Salt. Love Cocoa is a sustainable, ethical British-based chocolatier company set up Cadbury descendent James Cadbury. A lovely, great value option for that chocoholic that you know, this is delivered by First Class post in a letterbox-tailored skinny box (with the option of a personalised greeting card inside). *Note: A supplementary cost of £4.45 applies to orders shipped to Ireland and mainland Europe. Hoppy Christmas filled with new beer cheer! Our favourite local beer shop Hop Burns & Black has done it again, compiling an alcoholic advent calendar of epic proportions! They’ve carefully selected 25 of their favourite craft brews of 2016 as the perfect gift for that beer enthusiast, whether they use it as an advent calendar counting down to Chrissy or as a discovery of beer at their own pace through the New Year and beyond. What’s more, you’ll get a lovely little £10 voucher to use in-store or on their online shop for future hop-filled adventures! *Available to order online, however delivery is to mainland UK only, but you can also collect in store from HBB in Peckham. Price includes delivery costs. 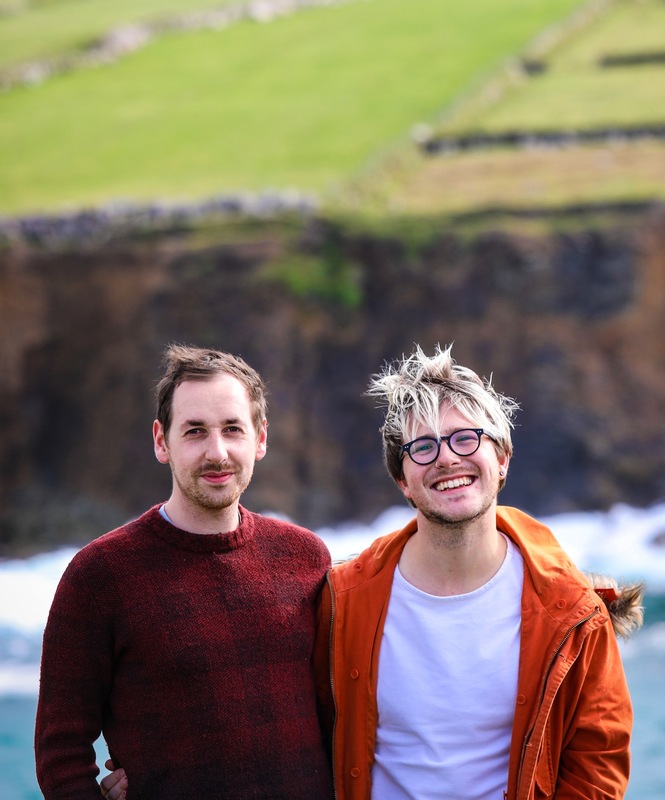 Featuring an incredible curation of some of our favourite food products is one of Ireland’s leading home and food stores, Avoca. A market Meca, this is where you’ll find some of the best produce Ireland has to offer and there is a dizzying amount of hampers and festive finds to fill fancy gift boxes with. 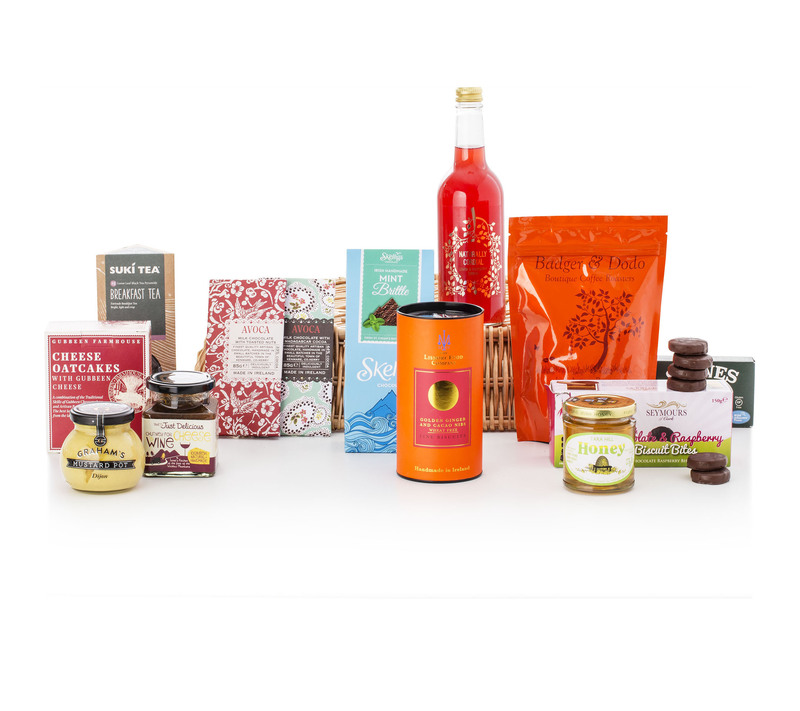 One in particular that caught our eye is the ‘All Irish’ hamper, featuring Badger & Dodo coffee, Skelligs chocolate, Gubbeen oatcakes, Suki Breakfast Tea, Shines tuna and lots, lots more speciality Irish products. CravedLondon is the perfect place to find that foodie friend the gift they’re really going to cherish. It’s the place that small, independent, artisan and unique producers have their products curated into really imaginative, covetable collections, like the seasonal sweet treats box (£31) or the craft gin & tonic set (£39), both above! Choose between lots of Christmas gift sets, whilst Craved is even a great online service to get individual products or single stocking fillers sent to you for that perfect foodie gift if you had in mind, like a bottle of SloeMotion whiskey liqueur, Supernature white truffle oil or gorgeous Modern Pantry clementine, black cardamom and saffron marmalade. 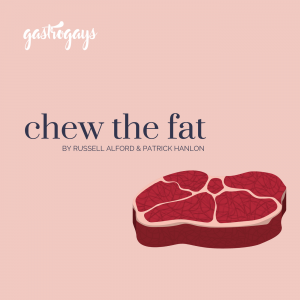 *OFFER: Get 10% off your first order at Craved with code ‘GASTROGAYS’ – simply enter at checkout, expires 31/12/2016! Standard delivery costs £4.80 and arrives within 2-3 working day to UK addresses, international deliveries will incur surcharges. This beautiful Kaymet Serving Tray, available at Borough Kitchen, is simple, sleek and modern. Using the same techniques since the late 1940s to make a range of kitchenware from their Bermondsey base, the trays are their star offering and they come in a variety of colours, sizes and finishes. The gold is our personal favourite and this could be the shining star below someone special’s Christmas tree this year. Practical yet pretty, this is a lovely little stocking filler or gift for €10/£10 or less from Industry & Co in Dublin. Great for portioning out coffee grounds, sugar or any free-flowing dry ingredients, the clip on the top will keep everything tightly concealed, ensuring freshness. We’ve got a bunch of these in our kitchen in London! As Carluccio’s rightly declare, the key to cooking great pasta is plenty of boiling salted water. 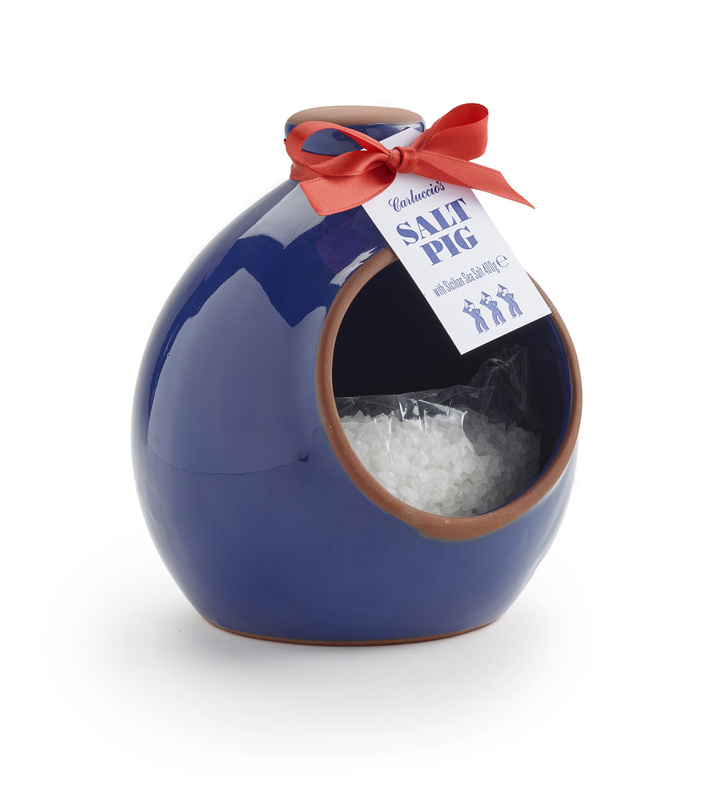 Always have your salt of preference at arm’s length when cooking up a storm in the kitchen with this gorgeous terracotta salt pig. Sitting right at home on any kitchen counter, this even includes a large sachet of Sicilian sea salt! Add a dash of glamour to dining with this gift from House of Fraser. We cannot get enough marble in our flat and think it adds a sleek touch to any living space. The flash of gold detailing on these two-sets really pops and like magpies, we are so drawn to them! Whether you’re Irish born or based or you just have a proud Irish surname, cherish your Irish heritage with these gorgeous hand-painted clan crests from Painted Clans. Hand-produced to-order by Brendan McCarey in Monaghan, each family crest is meticulously researched and redesigned with a modern minimalist style keeping all the original elements that make up the crests. Symbols are hand painted using fine acrylic paint, framed, rubber embossed and signed, producing a perfect family heirloom. Every single crest is unique and a once-off creation, with the back of each frame includes a small piece of information about the family history and a column explaining the meaning of each element of the crest. Log your travels by scratching off the top foil of the place you’ve visited, revealing a colourful map underneath and giving you a personalised map of the world. The Scratch Map Deluxe also offers incredibly intricate geographical details like land and ocean relief so you get a more complete view of the world you are travelling. See where you’ve already seen and plan where to scratch off both the map and your list next with this map, available from Ohh Deer. Giving a new meaning to “on the rocks”, these smart little Sparq square ‘rocks’ are an ideal gift for the whisky connoisseur, cooling their spirit of choice without diluting the drink like ice cubes do as they melt. The material here, soapstone, retains its temperature better than granite or marble keeping drinks cooler than cucumber for far longer. Available from Borough Kitchen. Whoever receives theses from Marks & Spencer won’t want to wait ’til New Year’s Eve to pop the Champagne! 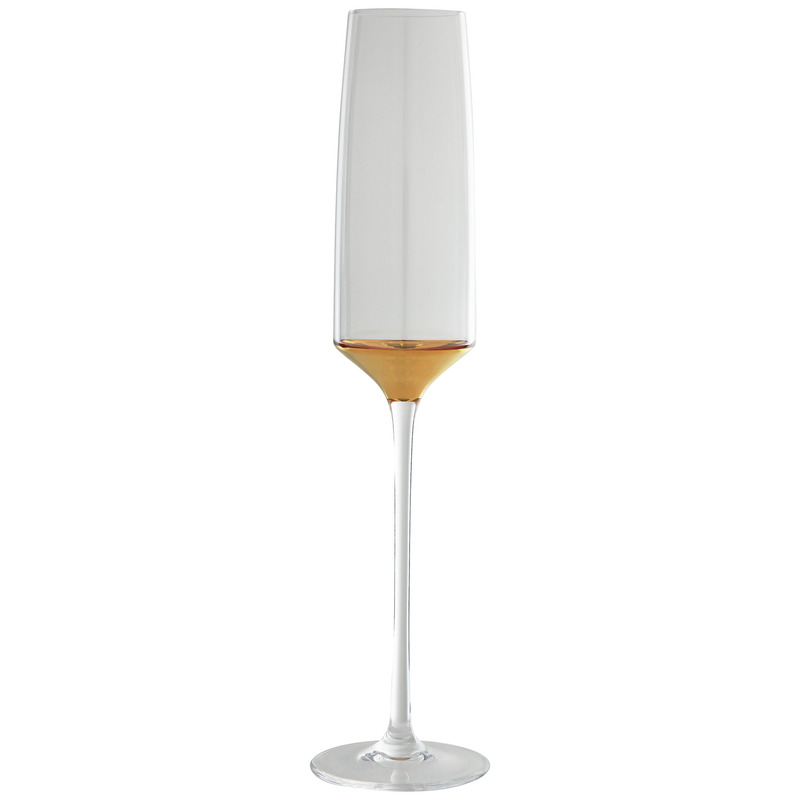 These art nouveau-inspired crystal glasses are hand-finished with real gold to add a touch of opulence to any occasions. A glittering Christmas gift, wouldn’t you agree? What a novel little idea from Carluccio’s to serve with drinks: chocolate cups that you pour the cheeky Italian spirit into and enjoy together in the one mouthful! Choose between grappa or Limoncello and enjoy the perfect end a festive meal. This would be an ideal gift from a guest to the host of Christmas dinner as a way of saying ‘thanks’ and ‘cheers’ at the same time! 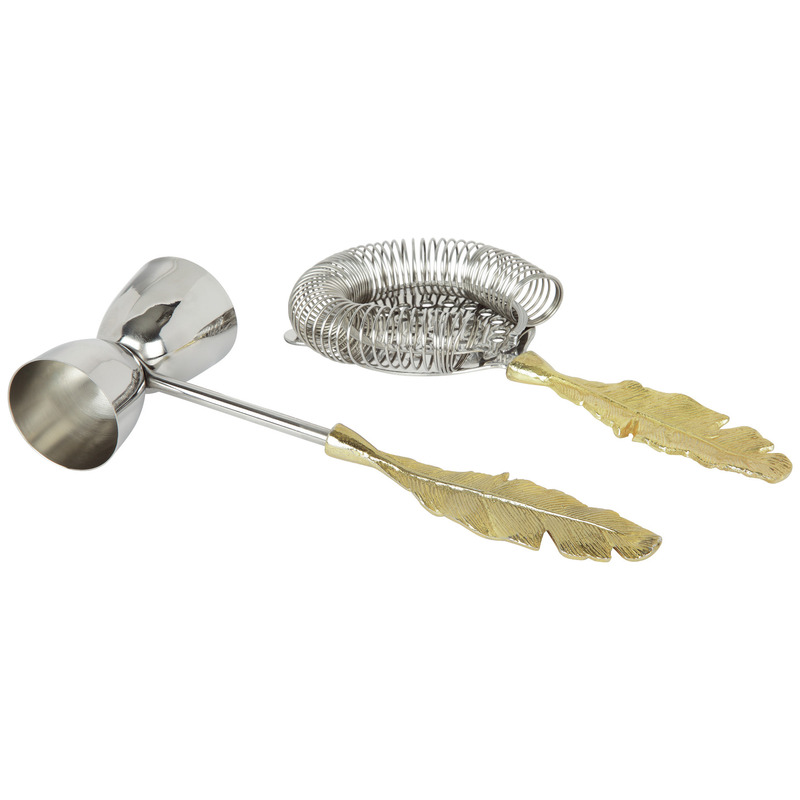 The ultimate in stylish cocktail accessories, with a strainer, jigger and bar spoon in a unique feather effect handle in a gorgeous metallic gold finish. Toast to the season with these from Marks & Spencer! Love this eye-catching, gold-tinted stainless steel milk jug from Article! Great for frothing milk for lattes and flat whites, it’s equally at home in the kitchen or the cocktail bar. A special, limited edition sip for 2016, if you’re looking for a beautiful bottle as a gift, this blackberry wine with wild elderberries will be perfect. Made in limited quantities by Wicklow-based winemakers Monéir (who also feature in our 25 Irish Drinks post). Deliciously capturing those wonderful end of season flavours using native Irish elderberries and luscious Wicklow mountains blackberries, this Irish fruit wine has incredible depth and character – a fabulous wine (11% ABV) with drinks and nibbles or to sit alongside a cheese and charcuterie board. Perfect as a gift or as a wine for special occasions, it pairs beautifully with red meats and cheeses. What’s more, it’s low in sulphites and suitable for vegans. *available to purchase online, however minimum order is 6 bottles. Available individually from selected retailers. Check the Monéir website for stockists. Made from hand-cut soda lime glass and gold brass band, this beautifully intricate design straddles the boundaries of traditional and modern for those who love cherish their whisky stash from designer Luke Arthur Wells‘ web shop. Choose that gift recipient cleverly, as being handed a block of fat might end in tears. But, please, hear us out: this is one of the best gifts you could ever give that foodie friend of yours. 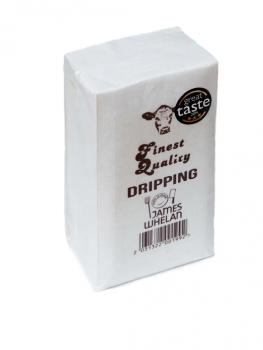 Our favourite Irish butcher, James Whelan Butchers, produces the world’s best beef dripping (Great Taste Award Supreme Champion, no less!) and it will totally transform your cookery. Chips are incredible made with this, you can even spread it on toast and it delivers impeccable flavour even in the tiniest teaspoon! A steal at €4.99, we’d jump for joy if we got a couple of these beautiful beefy blocks in our stocking! Couple this with the James Whelan Butchers Beef Bonds™ and the meat lover in your life will be forever in your debt! A fabulous bar of chocolate is a wonderful gift, and our pick of the pack for luxurious, single origin chocolate is Irish-made Bean & Goose. Produced by sisters Natalie and Karen Keane in Wexford, complex and rich chocolate is infused with interesting ingredients that reflect and celebrate the Irish seasons, including locally-foraged fruits like gorse and blackberries and herbs like lavender, mint, bay and lovage. Their wonderful, seasonally-changing chocolate products are available at stockists across Ireland including Avoca, Butler’s Pantry and lots of other independent stores like Indigo & Cloth. Out top pick is the Winter’s Bark – a real mouthful of Christmas flavours, with dark chocolate crowned with cranberries, candied orange peel and a sprinkling of spiced, roasted almonds and hazelnuts. Priced at €29.50, it’s an incredibly special treat for chocolate lovers. 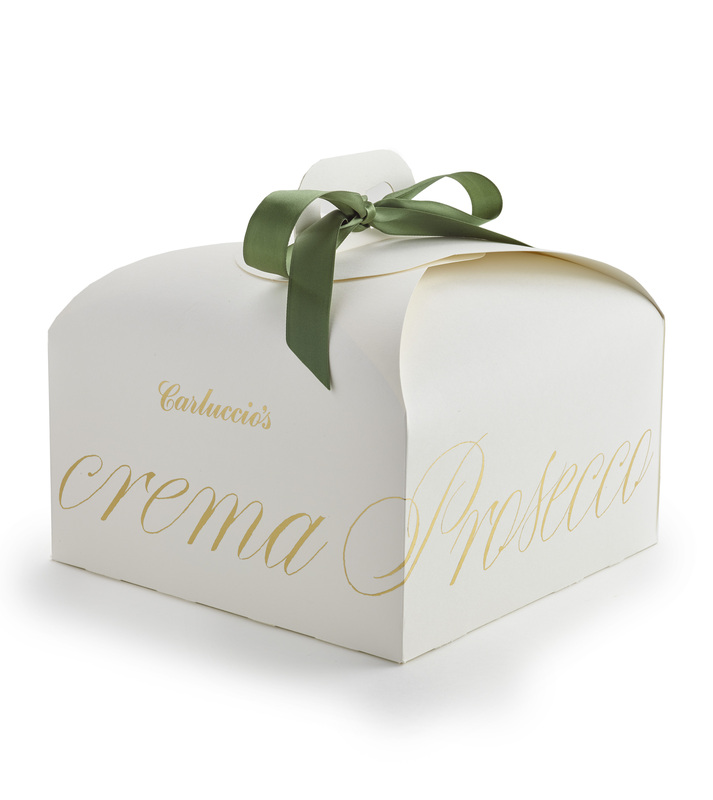 A little truffle honey goes a long way and this Carluccio’s gift set is ideal for the cheese lover in your life. 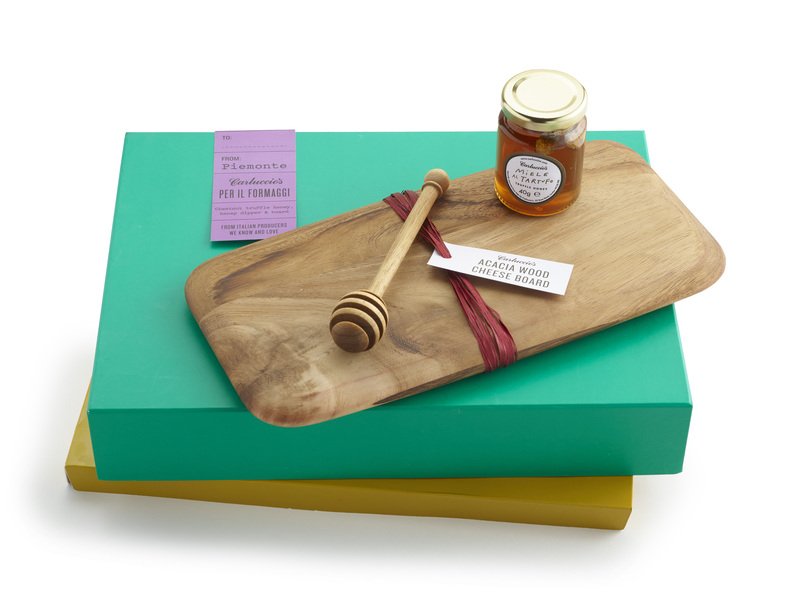 Real acacia wood board, honey dipper and a “millefiori” (thousand flower) honey imbued with black summer truffle. Fantastic with mature, hard cheeses like Pecorino. A gift for those who truly enjoy incredible combinations of Italian flavours. One of our favourite cheesemongers in the city of London is Buchanan’s, just off Marble Arch on Porchester Place. Petite and perfectly formed, it’s an exceptional place to pick up the best UK and international cheeses or to drop by for a wine tasting, as it’s equal parts cheesemonger and tasting room. 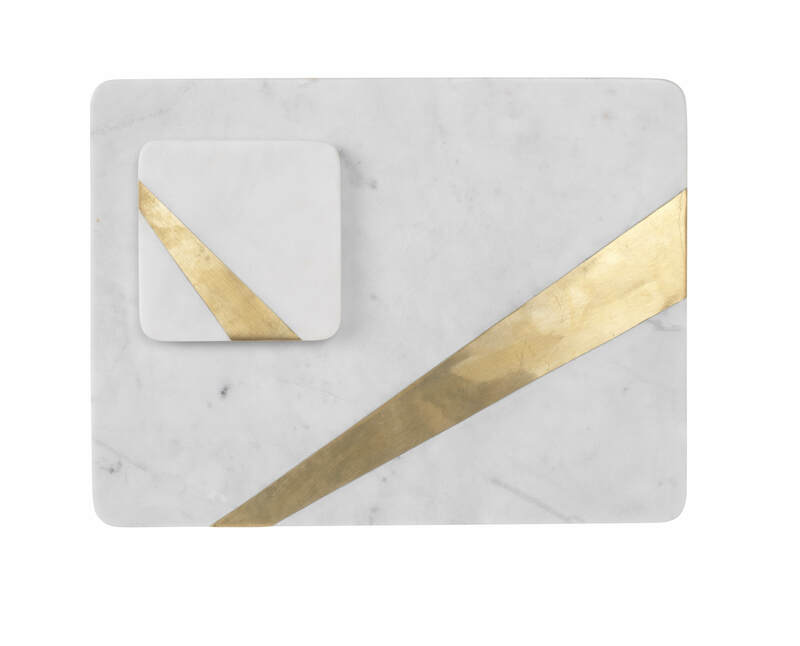 Even if you’re just dropping in and taking away you’ll adore their marble print cheese paper! What’s more, they have a really unique roster of events happening throughout the year. Why not book a cheese lover on one of their Thursday evening events, running once a month in spring 2017? First up is cheese and wine of The Alps on 23rd February; then there’s Classic French Wine Regions on 23rd March; followed by New World Wines with British Cheeses on 27th April and finally Cheese with Not Red Wine on 25th May. Each one runs from 18:30-20:30 and places cost £60pp. 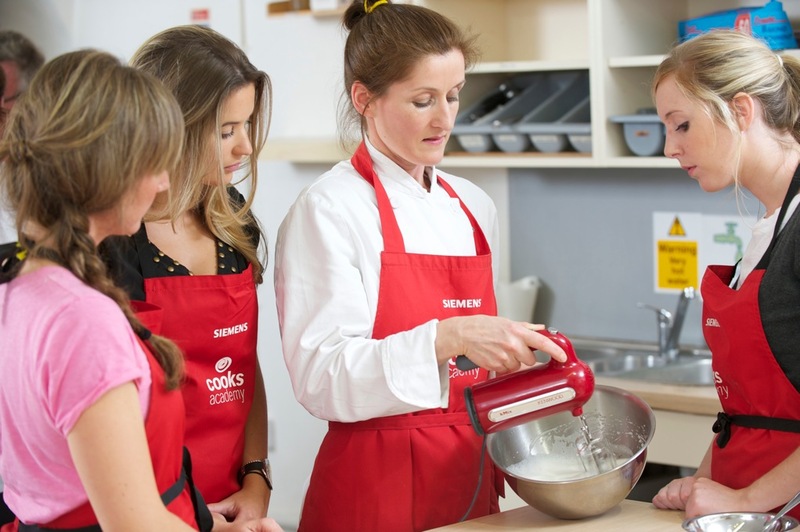 From brunch-specific day courses to men-only sessions, there’s really something for everyone at Cooks Academy, the incredibly diverse cookery school in Dublin city centre. Giving the gift of great food is so fulfilling, but actually teaching cookery basics and culinary tips and tricks is a really invaluable present! With courses pretty much every day, including weekends, and longer certificate courses, we particularly love the sound of Nitin Gautum‘s (Copper & Spices, Navan) Indian class in late January, the slow cooking class in February, the mid-week suppers day course in March and of course JP McMahon‘s (Aniar, Cava Galway) masterclass in mid-April!